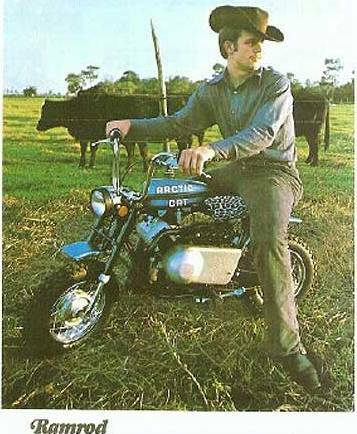 I'm not sure what I love more: The utterly cool style of the Arctic Cat minibikes, or that one of the model names was Ramrod. They HAD to have laughed (a lot) about that one while sipping cocktails at the Legion after-hours, circa 1972. 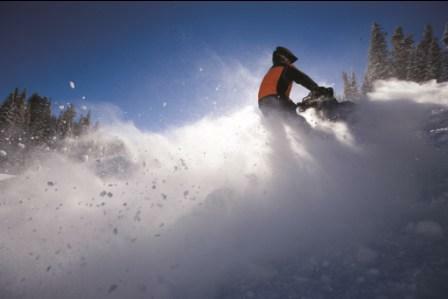 With a few clicks, you can help this famous snocrosser win the 2011 Best Male Action Sport ESPY Award. 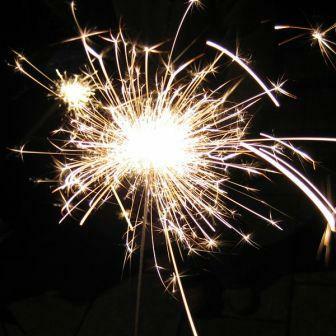 Wherever you live and whatever flag you salute, here's to your independence! 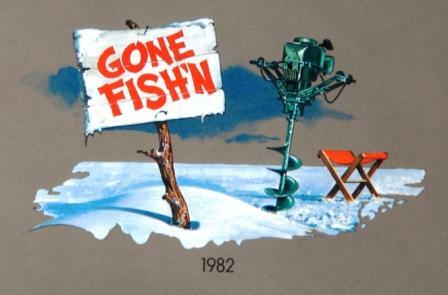 Been on a fishing trip of sorts the past few months, compiling and writing the 50 Years of the Cat book. Which is why I haven't been posting as often as I'd like. Thanks for bearing with me. I'll be back to "normal" in a week's time. Oh, and by the way. It's been a great fishing trip. Caught a lot of nice fish, which I'll be sharing with you shortly. 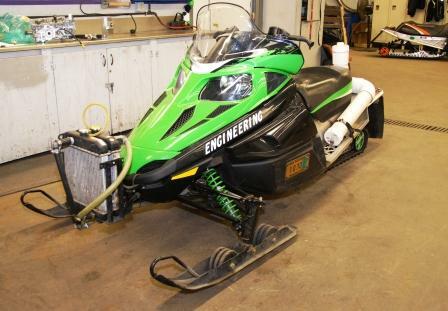 Click to see the list of amazing sleds (and start brainstorming reasons to tell your wife/other why you must "dip" into the savings account). 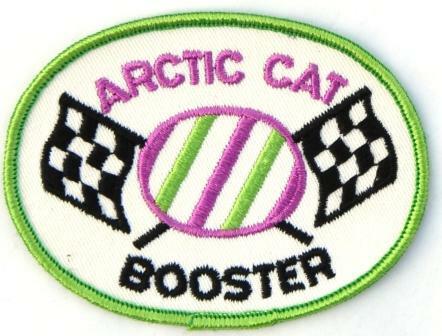 Arctic Cat just released more updates on the upcoming 50th Anniversary Celebration, July 29-30. Make the jump to read them. There's something about decals and patches that has always fascinated me (and amped-up my enthusiasm). Click to see some cool examples. 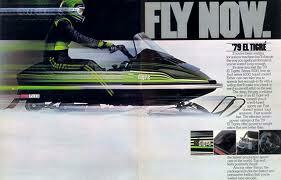 "Anyone can learn extreme snowmobiling when the right steps are taken." Once again, the internets are living up to their reputation as a fine news institution. 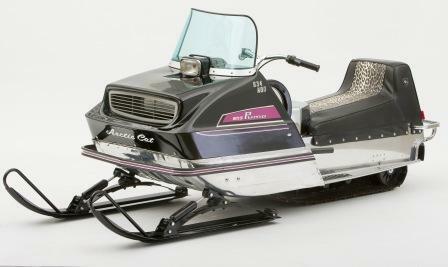 Based on what I'm hearing from people who are going to Arctic Cat's 50th Anniversary party, there are going to be hundreds of drop-dead-gorgeous Arctic Cat machines on display, like this 1971 634 Puma Mod from the Ische family collection. 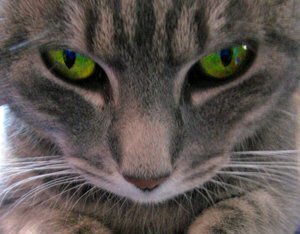 Click to see a few more beauties. Some typical randomness to today's selections. 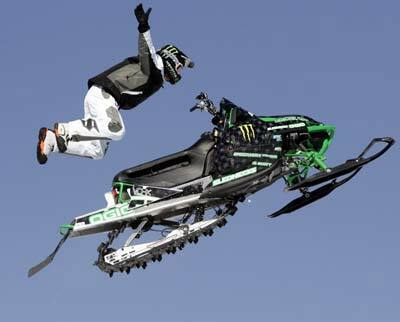 I have GREAT memories of when Blair Morgan burst onto the snocross scene. In a sport littered with goofball nicknames, the monicker "Superman" was an accurate standout that truly fit the man. 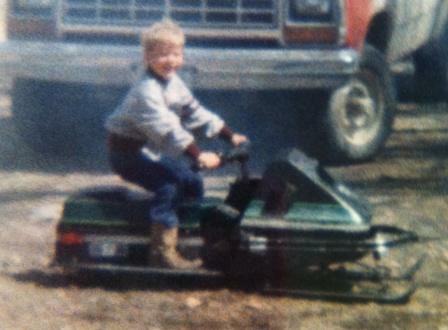 Going through photos for this book project I'm working on has opened the flood gates to memories of earlier times. 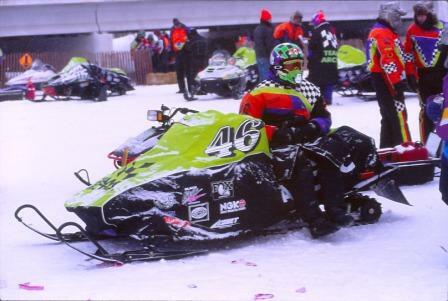 Like back in the mid-1990s when Chris Vincent was racing for Team Arctic. Another Craig's-List-of-the-Week sent in by Brent R.
Sadly no photos on this posting, but some good entertainment for anyone looking at a '91 Wildcat. 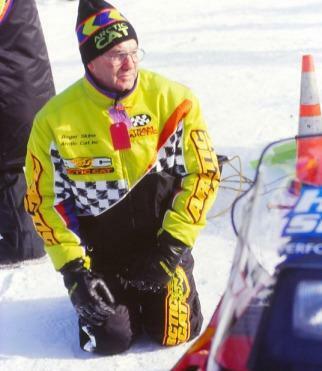 I could write a book about Roger Skime, detailing his gigantic impact on the sport of snowmobiling and his even greater role at Arctic Cat. But what I'm more impressed with than his inventiveness is the absolute dignity and respect that he brings to the sport. I've been going through a lot of photography lately. 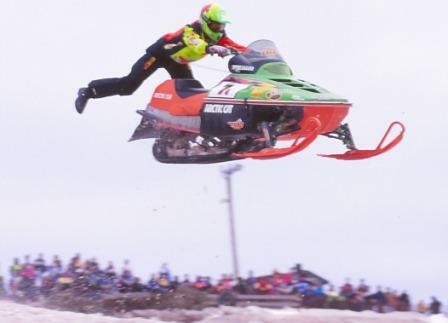 When I came upon these 2007 Arctic Cat images by Richard Hamilton Smith, I was reminded why he's one of the best photographers in the business. No, Tucker didn't caught with his hand in the cookie jar. But get this: He raced the second half of the 2011 season with a wrecked left wrist! 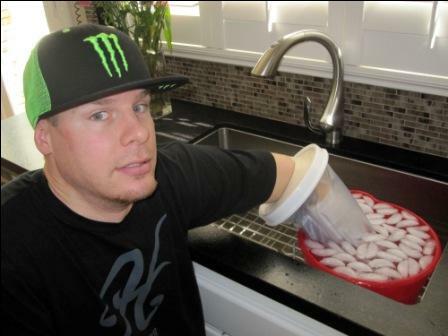 I talked with the Monster/Team Arctic racer, just a couple days after his surgery. 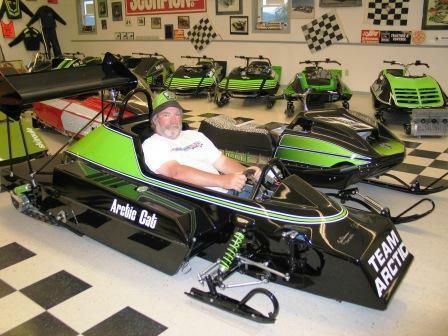 When was the last time a 1971 800 King Kat was inside of Arctic Cat? Probably the fall of 1970. Arctic Cat collectors Tom, Nancy and Brianna Ische delivered their original '71 King last Friday, for display in the lobby until the 50th Anniversary. Like all machines in the Ische Collection, this Cat is a stunner! 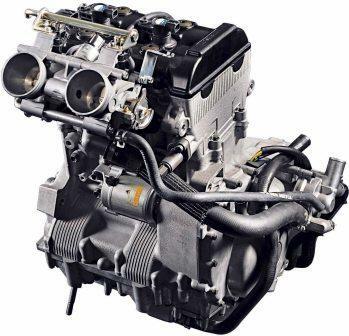 With the big buzz revolving around Arctic Cats 1100 4-stroke engines for 2012, I recently talked with Cord Christensen, Four Stroke Engine Group Leader at Arctic Cat, about the engine and some of the elements associated with it. Unwilling to accept that Summer is knocking on the door? 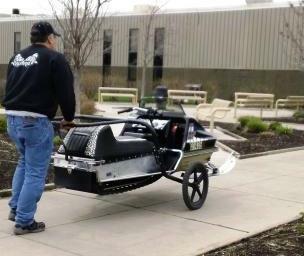 Maybe we can take a cue from Arctic Cat Engineering and convert our sleds for summertime fun? 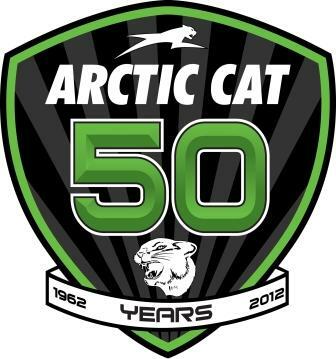 Here's an update on Arctic Cat's upcoming 50th Anniversary Celebration, including contact information about displaying your Arctic Cat stuff.